Hirniak, Nykyfor [Гірняк, Никифор; Hirnjak], b 23 July 1885 in Strusiv, Terebovlia county, Galicia, d 4 March 1962 in Clifton, New Jersey. Ukrainian Galician Army officer; brother of Yosyp Hirniak. He commanded the replacement unit of the Legion of Ukrainian Sich Riflemen (1915–18). In 1919 he served as mobilization officer in the war ministry of the Western Ukrainian National Republic and then in the General Staff of the Army of the Ukrainian National Republic. On 1 March 1919 he was promoted to major. In 1920 he became chairman of the Revolutionary Committee of the Ukrainian Galician Army in Vinnytsia and was instrumental in concluding the temporary alliance between the remnants of the Ukrainian Galician Army and the Red Army (see Red Ukrainian Galician Army). After 1921 he taught at the Ternopil gymnasium. He immigrated to the United States in 1949. 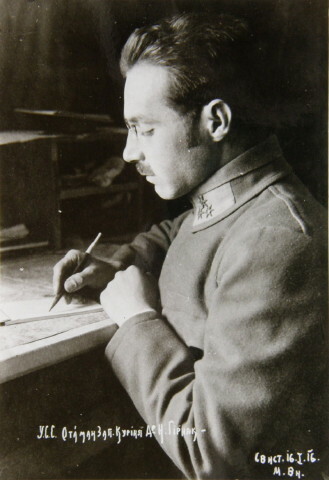 There he wrote a number of works on the Ukrainian struggle for independence (1917–20), including the memoirs Ostannii akt trahediï Ukraïns'koï Halyts'koï Armiï (The Last Act of the Tragedy of the Ukrainian Galician Army, 1959).